Norman Dubie is the author of more than seventeen books, including most recently The Mercy Seat: Collected & New Poems: 1967-2001. The Book of Crying Kanglings is the third of three books that make up the completed manuscript, The Spirit Tablets at Goa Lake. Dubie has received numerous national grants and prizes, including the Bess Hokin Award of the Modern Poetry Association. He has authored many individual publications and is a regular contributor to many magazines, including the New Yorker and American Poetry Review. 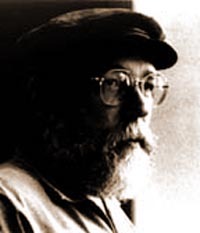 Dubie is included in the Norton Anthology of Modern Poetry. He is the recipient of fellowships from the National Endowment for the Arts, the John Simon Guggenheim Memorial Foundation, and the Ingram-Merrill Foundation. His work has been translated into more than thirty languages. He lives in Arizona.